HOW BIG (OR SMALL) ARE TICKS? WHEN ARE TICKS MOST ACTIVE AND HOW DO THEY FIND HOSTS? Another way to control the blacklegged tick population in your yard is by simply raking up and removing leaf litter. Yes, this job is not that much fun, and it can be more tiring than it looks. But, by ridding your property of leaf litter, you are actually removing the preferred habitat for blacklegged nymph ticks. Leaf litter provides the ideal shady, humid conditions for a nymph tick to thrive, and we humans often come into contact with it without really thinking. Our kids play in it. Our pets roll in it. And, every encounter with leaf litter represents a prime opportunity for a nymph tick to attach. 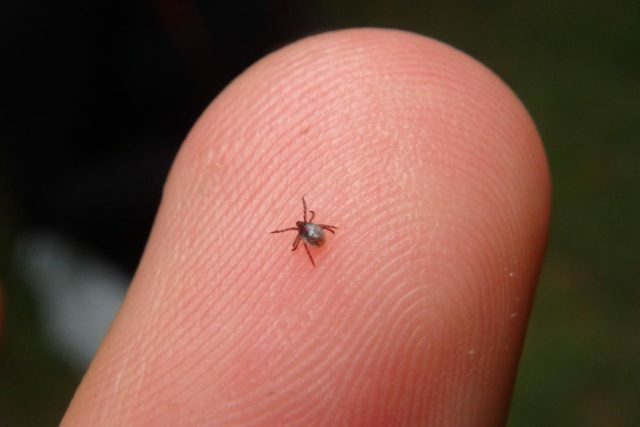 The nymphal stage of a blacklegged tick’s development is viewed as one of the most dangerous phases, because the nymph tick is so tiny that it will often go undetected before it has fed and infected a host. All it takes is one bite from this poppy seed-sized bug to completely alter a person’s life. 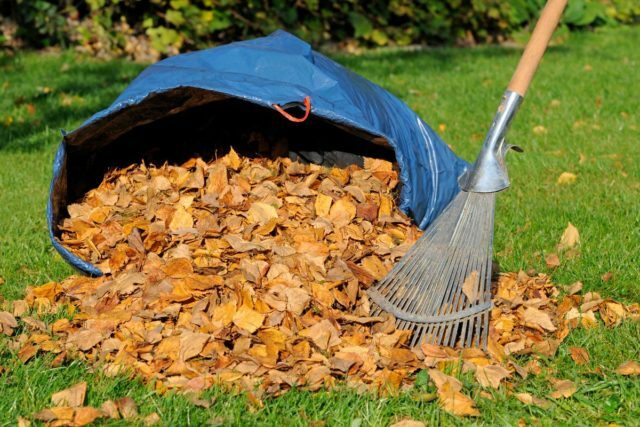 So, while raking, bagging, and disposing of leaves may cause a temporary backache, getting this litter out of your lawn will prevent permanent heartache down the road. Just remember to follow the protocols for Before Going Outdoors and After Coming Back Indoors when you are raking and removing leaves. Indiana Lyme Connect is an IRS 501(c)(3) corporation.